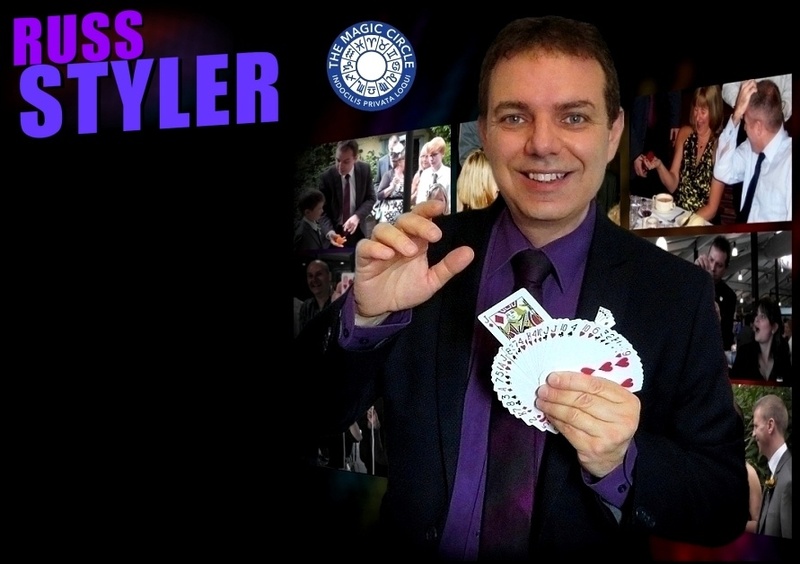 If you're looking for highly experienced professional magician for your event in Cambridge, whatever the occasion, Russ Styler's combination of amazing sleight-of-hand magic and humour is bound to prove a hit with your guests. Whether it's for a Wedding, corporate event, special birthday party or other celebration in Cambridge, across the region or wherever! Over the years Russ has performed at countless hotels and venues including such notable ones as The Dorchester, The Grosvenor House and Hilton Hotels in London. Russ has also worked summer seasons as close-up and cabaret magician and is a member of the Magic Circle, The International Brotherhood of magicians and Equity. For further information on hiring Russ as the magician for your event or party, get in touch now and maybe Russ will be there to make your event and even more magical and memorable one! 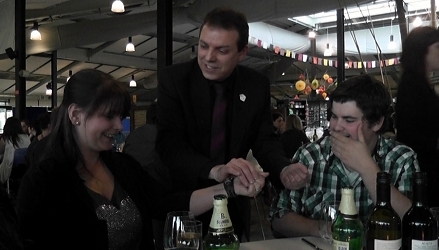 If you're looking for highly experienced professional magician for your event in Cambridge, whatever the occasion, Russ Styler's combination of amazing sleight-of-hand magic and humour is bound to prove a hit with your guests. Whether it's for a Wedding, corporate event, special birthday party or other celebration in Cambridge, across the region or wherever! Over the years Russ has performed at countless hotels and venues including such notable ones as The Dorchester, Grosvenor House and Hilton Hotels in London. Russ has also worked summer seasons as close-up and cabaret magician and is a member of the Magic Circle, The International Brotherhood of magicians and Equity. If you're keen to discover how hiring a magician can work to give your special event or occasion an added magical dimension and leave your guests with something that they will talk about for years to come, click on any of the appropriate tabs at the top of this page to learn more. Hire a magician for your event in Cambridge. Have the guests at your wedding, private party or corporate function be amazed! Also ideal for anniveraries, summer balls, cocktail and garden parties - even that last minute booking, you might be in luck! Cambs and all UK. 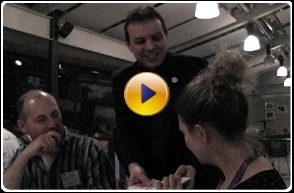 Hire a magician for your event in Cambridge. 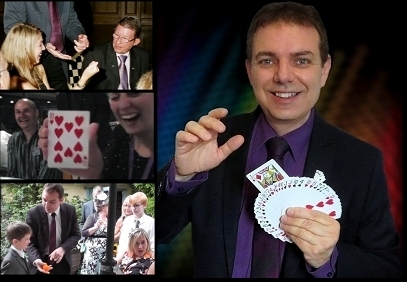 Great magical entertainment for a wedding, any private party or corporate function. Also ideal for anniveraries, summer balls, cocktail and garden parties - even that last minute booking, you might be in luck! Cambs and all UK.